●　He who does not trust enough, Will not be trusted. ●　He who obtains has little. He who scatters has much. ●　People in their handlings of affairs often fail when they are about to succeed. If one remains as careful at the end as he was at the beginning, there will be no failure. ●　Man’s enemies are not demons, but human beings like himself. ●　Fill your bowl to the brim and it will spill. Keep sharpening your knife and it will blunt. ●　In dwelling, live close to the ground. In thinking, keep to the simple. In conflict, be fair and generous. In governing, don’t try to control. In work, do what you enjoy. In family life, be completely present. ●　In the world there is nothing more submissive and weak than water. Yet for attacking that which is hard and strong nothing can surpass it. ●　Nature is not human hearted. ●　Be content with what you have; rejoice in the way things are. When you realize there is nothing lacking, the whole world belongs to you. ●　He who knows that enough is enough will always have enough. ●　Anticipate the difficult by managing the easy. ●　Manifest plainness, embrace simplicity, reduce selfishness, have few desires. ●　He who conquers others is strong; He who conquers himself is mighty. ●　Without stirring abroad, One can know the whole world; Without looking out of the window One can see the way of heaven. The further one goes The less one knows. ●　When I let go of what I am, I become what I might be. ●　At the center of your being you have the answer; you know who you are and you know what you want. ●　If the Great Way perishes there will morality and duty. When cleverness and knowledge arise great lies will flourish. When relatives fall out with one another there will be filial duty and love. When states are in confusion there will be faithful servants. ●　The journey of a thousand miles begins with one step. ●　To the mind that is still, the whole universe surrenders. ●　The career of a sage is of two kinds: He is either honored by all in the world, Like a flower waving its head, Or else he disappears into the silent forest. ●　All difficult things have their origin in that which is easy, and great things in that which is small. ●　When you are content to be simply yourself and don’t compare or compete, everybody will respect you. ●　The key to growth is the introduction of higher dimensions of consciousness into our awareness. ●　Nature does not hurry, yet everything is accomplished. ●　A leader is best when people barely know he exists, when his work is done, his aim fulfilled, they will say: we did it ourselves. ●　Because of a great love, one is courageous. 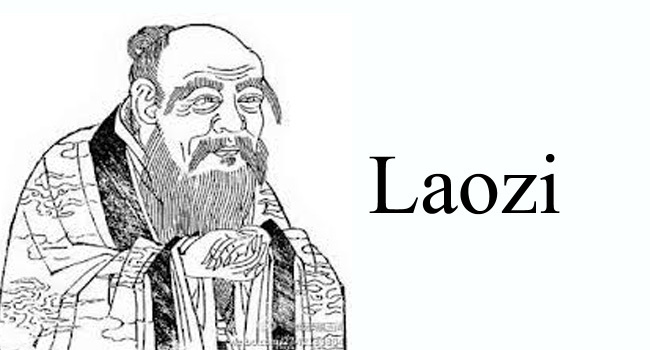 【Laozi】 Laozi (Chinese: 老子; pinyin: Lǎozǐ; Wade–Giles: Lao Tzu; also romanized as Lao Tse, Lao Tu, Lao-Tsu, Laotze, Laosi, Laocius, and other variations) (fl. 6th century BCE) was a philosopher of ancient China,best known as the author of the Tao Te Ching (often simply referred to as Laozi). His association with the Tào Té Chīng has led him to be traditionally considered the founder of philosophical Taoism (pronounced as “Daoism”). He is also revered as a deity in most religious forms of Taoist philosophy, which often refers to Laozi as Taishang Laojun, or “One of the Three Pure Ones”. According to Chinese traditions, Laozi lived in the 6th century BCE. Some historians contend that he actually lived in the 5th–4th century BCE, concurrent with the Hundred Schools of Thought and Warring States Period, while some others argue that Laozi is a synthesis of multiple historical figures or that he is a mythical figure. A central figure in Chinese culture, both nobility and common people claim Laozi in their lineage. He was honored as an ancestor of the Tang imperial family, and was granted the title Táishāng xuānyuán huángdì, meaning “Supreme Mysterious and Primordial Emperor”. Throughout history, Laozi’s work has been embraced by various anti-authoritarian movements.